Antioxidants play a very important role in the maintenance of your health. Red Heart Algae is 500 to 1,000 times more potent than Vitamin C, and 100 times more effective than Vitamin E as an antioxidant. Antioxidants play a very important role in the maintenance of your health. Red Heart Algae is 500 to 1,000 times more potent than Vitamin C, and 100 times more effective than Vitamin E as an antioxidant. It is one of the most powerful antioxidants found in nature. It also crosses your Blood-Retinal and Blood-Brain Barrier. Antioxidants have been shown to help deter the collection of plaque on arterial walls. Antioxidants limit and severely reduce the oxidation or solidification of substances, thus potentially reducing them from accumulating in the body. 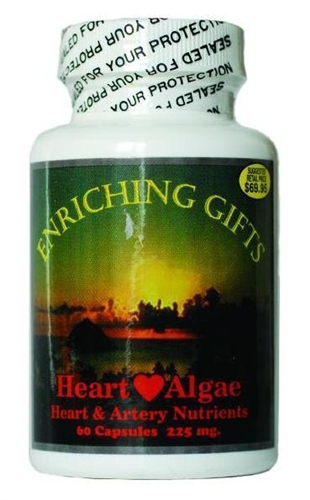 Red Heart Algae is produced in bio dome photo reactors in a 100% controlled environment, which creates an extremely clean, pure, and highly concentrated product which is easily absorbed and digested. Red Algae is the highest antioxidant known to science that’s been researched and developed within the last decade. Antioxidants neutralize free radicals that cause oxidative damage to the body and significantly reduces the amount of DNA damage to your cells. Antioxidants help reduce oxidation, plaque formation, and uric acid that can potentially build up in the blood stream. Antioxidants also reduce oxidized floating immune complexes (FIC’s) within the blood stream. In addition, some antioxidants help to protect brain cells from oxidative damage because of their unique ability to cross the blood brain barrier.